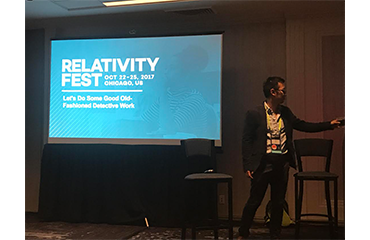 Home / Archive by category "Relativity"
Anexsys were delighted to play a vital part in this year’s Relativity Fest. In October, the team travelled to Chicago, Illinois to attend the eDiscovery conference which attracted almost 2,000 industry professionals in the legal sector. 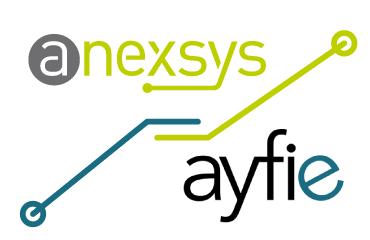 Anexsys is pleased to announce our partnership with ayfie, Inc., the leading provider of ayfie Inspector for Relativity – a text analytics engine used in a variety of industries and disciplines. Anexsys collectively has over a decade of experience in developing Relativity applications, and we’ve picked up a lot of tips and tricks along the way. We’ve learned some of our development lessons in interesting ways and have established a set of tools and practices that we use on a daily basis when developing our software. Press Release – CHICAGO, IL – Thursday 28 April, 2016 – Anexsys today announced they will be demoing RTK.Message, RTK.eBible and RTK.ExcelRedact, which extends the capabilities of Relativity, to attendees of the Relativity Spring Roadshow in London on May 3. Demos will be held at the evening reception of the Roadshow at the Grange St. Paul’s Hotel beginning at 8 p.m.
Anexsys are proud to have received our Relativity ‘Best in Service’ accreditation recently. This accolade is something the team have worked incredibly hard for and to be recognised by such a well established software partner shows how vigilant our experts are. The accreditation also says a lot though about the service we provide to our clients. I wanted to write a short piece showing how end users can benefit from using ‘Best in Service’ providers over non-accredited companies and the added reassurance they can take from doing so. Press Release – CHICAGO, IL – 07 October 2015 – Anexsys today announced that they have been named a finalist for the Relativity Innovation Award for Best Service Provider Solution. The team at Anexsys are delighted to have been selected as finalists for the RelativityFest innovation awards for RTK.ExcelRedact, a revolutionary product which provides a way to natively redact and produce Microsoft Excel spreadsheets. 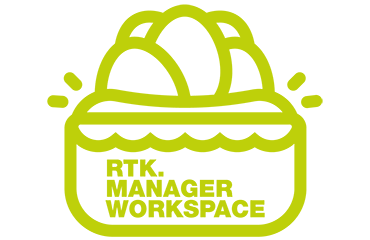 LONDON, UNITED KINGDOM – 17 AUGUST 2015 – ANEXSYS, a leading independent supplier of legal technology and document management solutions in the UK, today announced that they have earned kCura’s Relativity Best in Service designation, which recognizes Relativity Premium Hosting Partners who provide an exceptional Relativity experience for end users.